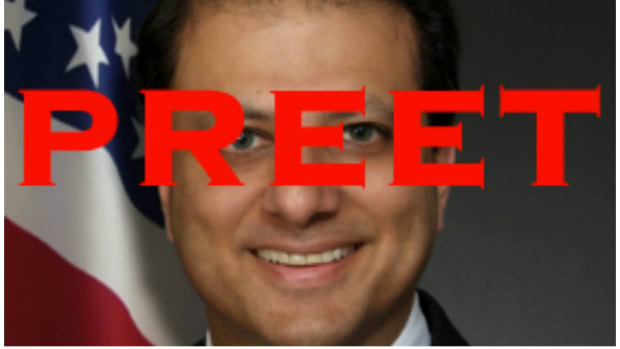 Coming Soon: The Preet Bharara Museum of Ill-Gotten Art? Someday soon, the Manhattan U.S. Attorney may back the trucks up on Cummings Point Road and Crown Lane and Further Lane and seize some of the toys Steve Cohen has acquired with his allegedly illicit fortune. 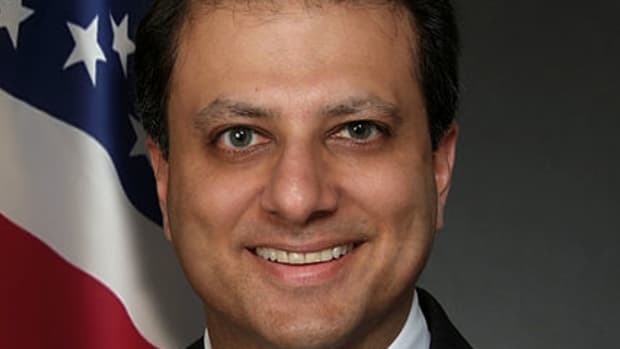 Perhaps Preet&apos;s mind wandered to that day when he was signing a big chunk of Mark Dreier&apos;s former art collection to a hedge fund Dreier screwed over. Perhaps it occurred to him that, since there&apos;s no Heathfield Capital owed a pickled-shark-and-Picasso&apos;s worth of restitution, Stevie&apos;s impressive private museum might just make a fitting monument to his own prosecutorial victories? Eighteen contemporary artworks have been transferred to a hedge fund victimized in a massive $400 million fraud scheme, the Manhattan U.S. attorney&apos;s office said Monday. The works by such boldface artists as Andy Warhol, Mark Rothko and Damien Hirst had belonged to Marc Dreier, a once-prominent Manhattan lawyer whom prosecutors called "the Houdini of impersonation and false documents…." U.S. marshals turned over the works, valued at some $33 million, to New York-based Heathfield Capital Limited. Some of the transferred works include Hirst&apos;s "Elaidic Anhydride (hot pinks spot painting)"; Rothko&apos;s "Untitled" and Warhol&apos;s "Jackie." In July, federal Judge Jed Rakoff upheld Heathfield&apos;s right to the artworks that Dreier had pledged as security to finalize a deal, calling the fund the "last and largest victims of Dreier&apos;s fraud." Tune your podcatcher to righteous indignation!